SO in love with that hat! Might need to grab one pour moi :) Love this V! nice hat! I like this pant color with this heels! Okay new reader here, I've been reading these posts for the last few months and all I can say is these are really nice posts and all but please address the camera more! I don't know if I can deal with more pics of you looking at the sidewalk. Everything else, you're doing grand. Really like the constant stream of photo sets. 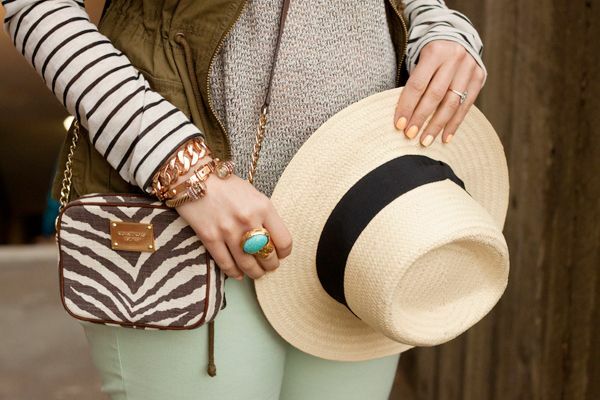 LOVE Safari chic!! So good! I've been following your blog in the past few months, but I've never left a comment yet! You always manage to create new fantastic looks and give me lots of good ideas! 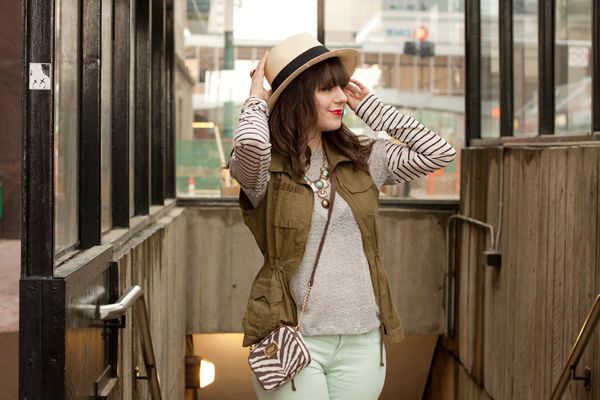 I absolutely love how you mix and match different prints and yet always remain stylish and classic! Keep posting many pictures, I don't care if look at the camera or at the sideways, you'll always look stunning! 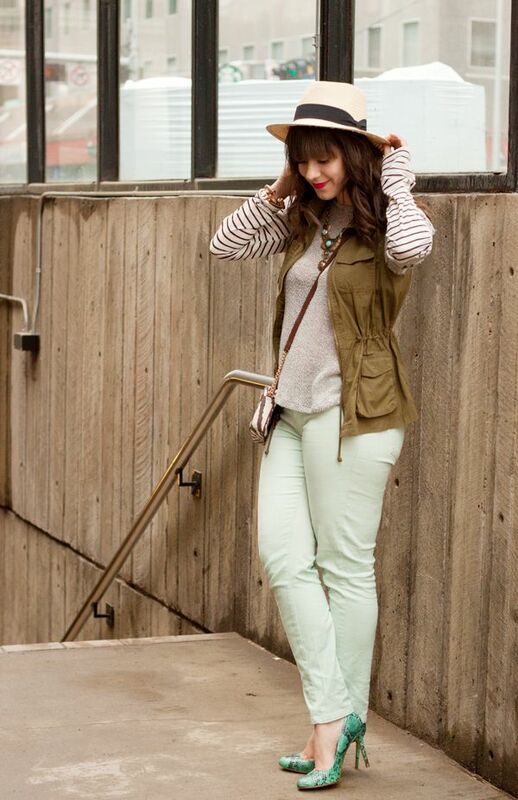 I adore this combination of colors and patterns! I'm especially jealous of that sweater and those shoes! 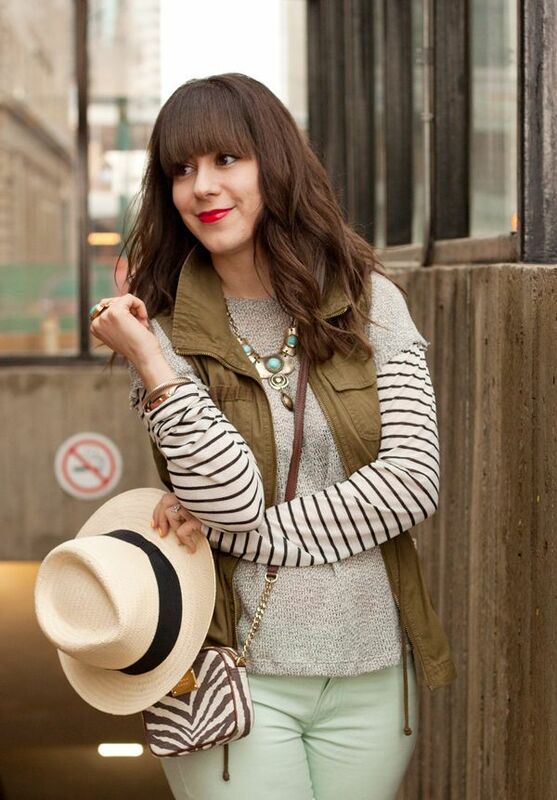 wow I am so much loving this outfit, it's perfect, I love the combinations you made!